Thank you for joining our 2018 Otter Spotter Team! 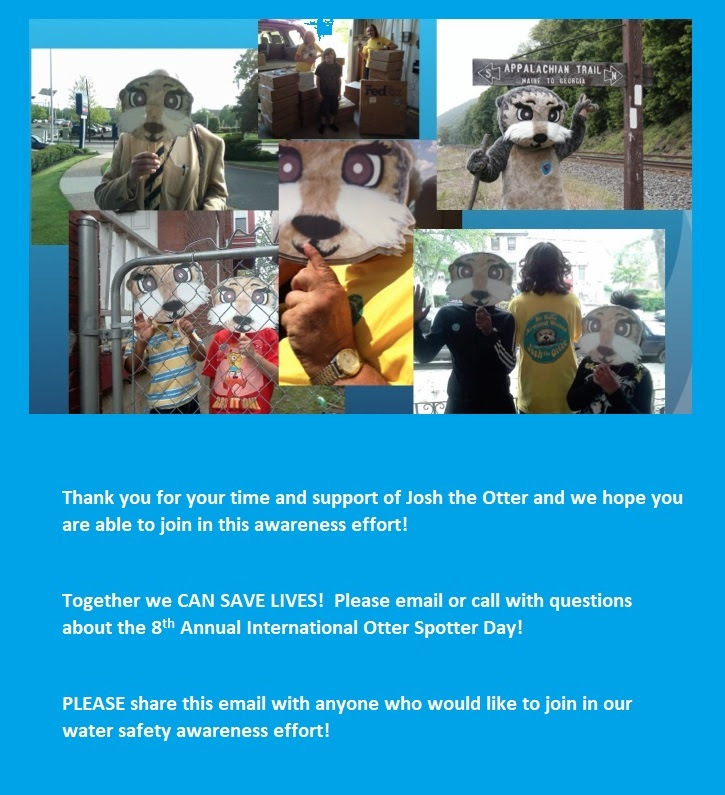 May is National Water Safety Month and we want to spread the message of water safety awareness all over the country and around the world with Josh the Otter and our amazing volunteers and partners. 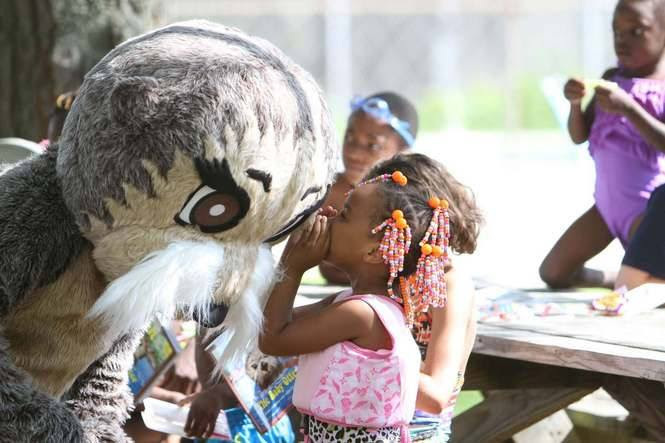 Eight years ago, we created “Otter Spotter Day” as a fun and simple way to get community members from all over involved in spreading the message of water safety within their own regions — TOGETHER on the same day. If you are participating in Otter Spotter day, please join our contest by sharingyour Josh story. We are asking you to submit photos or a 1 minute or less videosharing how Josh the Otter has impacted you, your family and/or your community. Josh the Otter prizes will be awarded to the 1st, 2nd and 3rd place winners! To submit your video, please email blake@joshtheotter.org as soon as possible. May is also important because it is the one month during the year you can make an even bigger impact by supporting our organization and programs like Otter Spotter Day. We are participating in Give to Lincoln Day, an event that encourages donors to contribute to nonprofits important to them. The Lincoln Community Foundation and their sponsors are providing a $400,000 challenge match fund as part of Give to Lincoln Day. For example, if we receive 1% of the total donations raised during Give to Lincoln, we will get an additional $4,000 from the challenge match fund. Your donation will help save lives by giving the gift of literacy through Josh the Otter, the gift of awareness and education through Otter Spotter and the gift of swim lessons through Float 4 Life. Josh the Otter/JCMF Children’s Charities reaches over 35,000 children and families from all over the US and beyond with our water safety message. If you live outside of Lincoln, please know that your gift helps us reach children and families from all over. All online donations given now through 11:59 pm on May 31 count towards the match. Please click on this link now to support programs like Otter Spotter! Joshua, the Joshua Collingsworth Memorial Foundation namesake, was 2 1/2 years old when he died from a pool drowning incident. According to the Center for Disease Control, drowning is the number one cause of unintentional injury death for children ages 1 to 4 and the second leading cause of unintentional death for children again 1 to 14. While the statistics are staggering, drowning has not gained the necessary public and media attention needed to help prevent these tragedies from occurring. Otter Spotter Day is not only helping to engage the media, but also the global community…one Otter Spotter at a time. Thank you for all you do to promote water safety in your community. You are making a difference in the lives of children and their families.